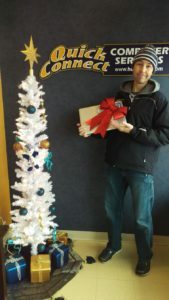 Merry Christmas from Quick Connect! 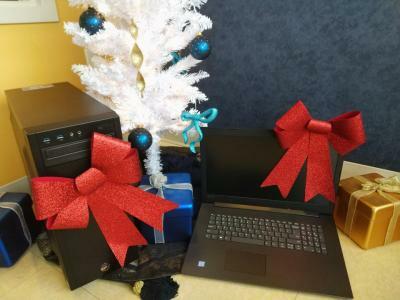 Does Santa have a custom built computer or a brand new laptop coming for you? Are you on the good or naughty list? Let us work like Santa’s elves to get you the computer you’ve always wanted for Christmas or maybe Santa will bring a custom built computer down your Chimney built by yours truly! Merry Christmas from all of us at Quick Connect! One of our clients already took us up this offer!!! Mr. White picked up his refurbished MacBook Pro this morning and wanted to share a picture of it!